Is there a way of adding the BIC number to invoices. A few clients have come back to me as they now need this to process payments. Hi Keith, You could add the information in the notes to the client section of the invoice. We’ll be adding BIC number into the bank account details soon so that it will appear in your invoices automatically like the other information. John. 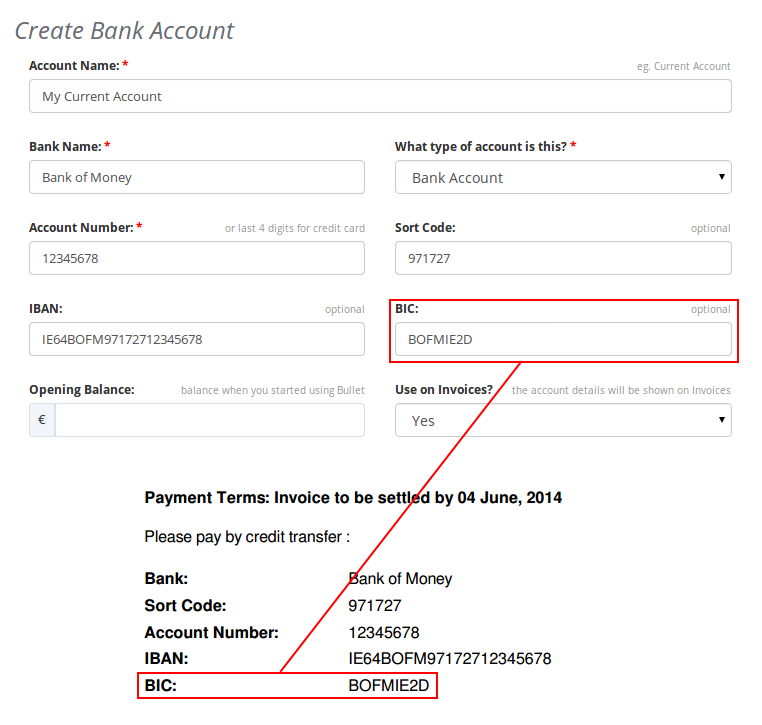 This feature has now been added, so you can add your BIC when creating/editing a bank account, and it will appear on your invoices automatically. 12How do I set my VAT rates for my products. I cant find the item in the line items section of invoicing, or any where else I have looked.How do I set my VAT rates for my products. I cant find the item in the line items section of invoicing, or any where else I have looked.25Hi again, Apologies in prep from our audit we’ve encountered a few issues. Some of the pay guidance (net & gross) for Eugene Mc Donough in August & September appear to have changed from the payslips originally generated. Can you look into this issue? This is causing problems in our accounts and we are also having issues with Revenue and think this may be part of the problem.106Bank Transfer using API44hi quick question how can i check my credit notes that i have entered , is there a list same as invoices62Thanks John. Banner images will be helpful on the run up to christmas!